"Seems so small to just hit the "Like" button ... 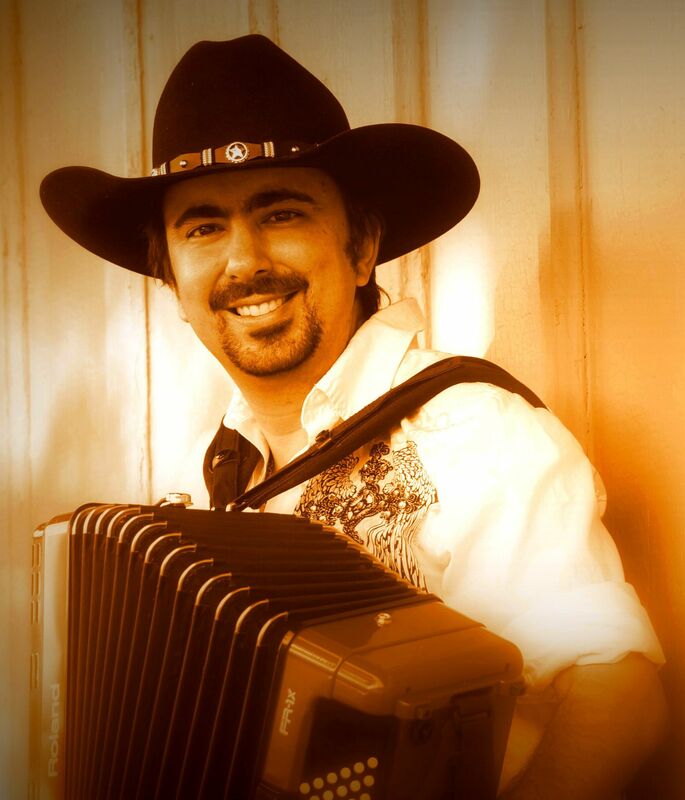 Wish there was a "Really, Really, Really, Really, Really, Really Love" Button ..."
Chris Rybak - is one of the most popular accordion entertainers in Texas and can be found performing on the national and international level throughout the year. He has about 150 dates a year, about 100 of which are public shows and about 50 or more private shows for birthdays, anniversaries, reunions, weddings and other special occasions. Combining his love of music, proud Czech heritage and magnetic personality, this "Accordion Cowboy" has what it takes to entertain audiences of all ages through his showmanship and fresh enthusiastic musical style. Chris's shows utilize his special talents on the digital accordion along with keyboards, trumpet and his vocals. You can book him as a "one-man show" or with his band. Chris's music includes Country & Western, Polka, Cajun, Tex-Mex, Folk, Gospel, Classical and other styles. Some of the dates of Chris's performances include the Texas Folklife Festival in San Antonio, the German Wurstfest in New Braunfels, Caldwell Kolache Festival, Labor Day's Czech Fest in West, Texas, Oktoberfests in Texas, Louisiana, Oklahoma, Arkansas, California and other states. He has done NAMM shows in Austin TX, Nashville TN, and Anaheim CA, Branson MO and the Texas Renaissance Festival near Houston TX. Chris has even taken his music shows multiple times to the Czech Republic, Germany, Austria, Italy, France, Switzerland, Poland, Hungary and Slovakia (the homeland of his wife Edita). Also, he has played on several cruise ships going to Alaska and the Caribbean Islands. Chris's music has been influenced by the varied music styles of Hank Williams, Garth Brooks, Flaco, Santiago Jimenez, Myron Floren, Floyd Cramer, and George Strait. This variety has captured the hearts of thousands of people across Texas. Chris began his love of music at the age of 8 with piano lessons and by the age of 12, developed a love for the accordion after being inspired by the members of his father's band (Leroy Rybak's Swinging Orchestra in Texas). Chris played accordion and trumpet in his high school band and won many competitions. By the age 14, he was an often requested guest entertainer at country music shows all over Texas. After many requests for an album, he recorded his first cassette tape at the age of 15. In 1993, he was honored when given the New Dawn Award from the Texas Polka Music Association. In 1999, Chris signed a record contract with Mike Daily, who is the Best known in his role as steel guitarist for country western legend George Strait. After signing with Daily's Glad Music Co record label, Chris recorded his self-titled debut album which was released in 1999. Since then he has recorded 9 additional albums and is currently working on a new one. In July 2006, he was honored by being asked to demonstrate Roland's V-Accordion (the world's first all digital accordion) at the Summer NAMM Session in Austin, Texas. Since then, he has been working for Roland as "Product Specialist" traveling across the U.S. and Europe. Chris has been featured multiple times on various television stations, including RFD-TV and CBS News in Austin and has had several radio interviews including NPR (National Public Radio). Chris and his wife Edita organize European Tours every year for their fans. For 2013, they are planning two tours visiting the Czech Republic, Germany, Austria, France, Luxembourg, Slovakia and Hungary. Chris and Edita are engaged in the development of an educational website designed for Texas Czechs teaching the Czech language, music and culture. You can find it at www.texasczechs.com . In the spring of 2011, Chris became the proud father of a beautiful daughter Kristina Nicole Rybak who is already walking in her father's footsteps. She is showing much interest in music and has even appeared in national newspapers. Accordion Cowboy Chris Rybak Says Na Zdravi, Y'all! "Just saw you on TV tonight with my husband gone dancing wasn't for me BUT you put my dancing shoes back on." "Thanks a lot for coming out to San Antonio College and playing our Oktoberfest! You all were great and I look forward to working with you all again!"